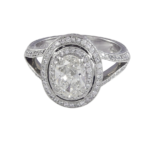 1.20 carat oval diamond platinum engagement ring. 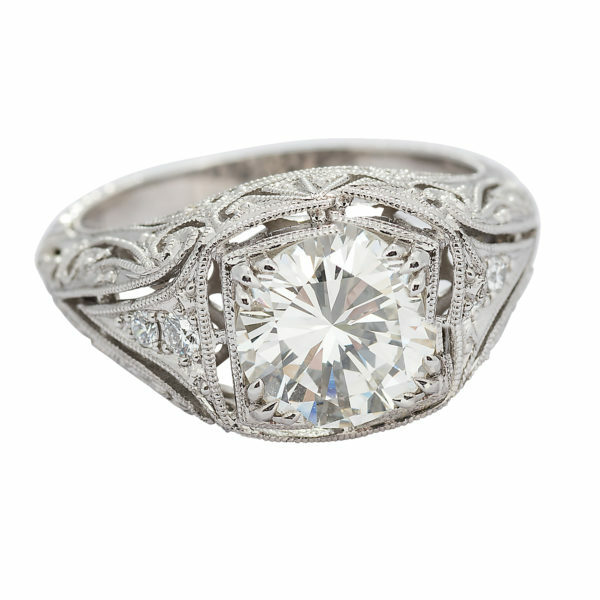 The oval is set with four double prongs, atop a double diamond halo, and a halfway diamond split shank with hand engraving. 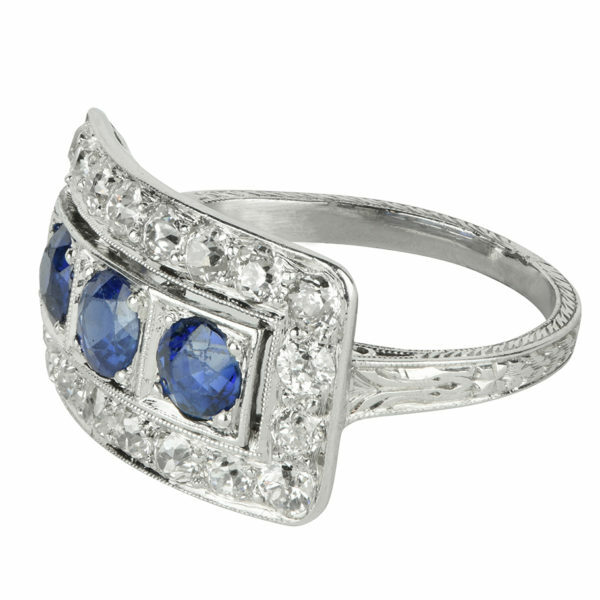 the oval is graded by GIA as G color, SI1 calrity. 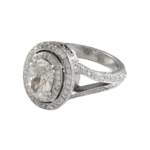 The remaining round brilliant diamonds in the halo and shank have a total weight of 0.51 carats.